[Sponsored] HCG Diary: Surviving HCG Diet Plan and My Progress on Week 1 and 2. I did a post before telling you guys about my diet plan which is sponsored by Mediviron UOA Clinic. So here I am to update about my progress, and also to drop some tips for you guys who is interested in trying this treatment too. If you're curious about this HCG Diet, you can read on more on my first post HERE. Following the diet guidelines in HCG diet is very important in order to ensure optimum result. Depending on the person, you could lose about 7kg if you're doing the diet for about a month, or probably even more! But truthfully, following such strict diet could be a pain sometimes. You need to be very determined and be very discipline. So, I'm compiling my 'know how' after two weeks of following this diet. You should never look down on this. It is probably the biggest factor your have to consider before starting this diet. Shooting the HCG hormone on your stomach (by yourself!) is not easy in the first place, more over having to resist the temptation of people around you, it is very easy to falter and raise the white flag. And because you also need to prepare the correct meal everyday, it could be very exhausting and time consuming. Thus, you have to set your mind to be strong till the end! And make sure people close with you know about your diet plan, because their support will make it easier for you. Although this diet is less tiring than other type of diet (since you could eat and feel full), the fact that you have to be precise in calculating the weight of the ingredients could be very annoying sometimes. But hey, no pain no gain right? So here is some of my tips on how to make it easy on you. - Since the ingredient is limited, try to be creative with your cooking. Using correct herbs and spices could determine whether the food taste good or bad. Who says people on diet eat tasteless food all the time? - Since oil is strictly forbidden in Phase 2, you can try another method of cooking like baking, grilling, steaming, roasting, boiling etc. - Use variety type of protein in a week. Since some protein like beef, chicken breast, white fish (except tuna, sardine and salmon), prawns, lobster etc can be use, make sure you eat variety of food. For example like eating chicken for today's lunch, prawn for dinner, and beef for the next day lunch. The more variety, the better. Don't just eat chicken and beef for the whole week just because they tasted better! - Drink a lot of water. 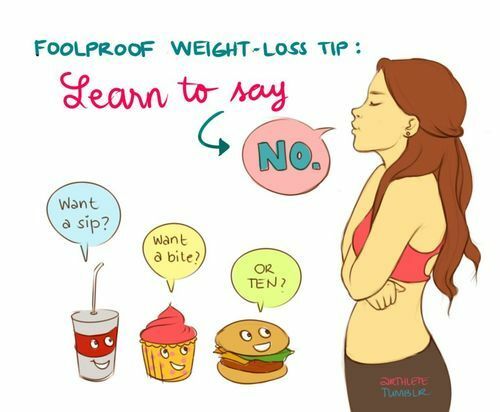 You can also drink coffee or tea but remember that sugar is forbidden! Try using sugar substitute (stevia). Well, I just drink plain green tea so its fine for me. - There are only a few type of fruit that can be allowed per meal. That means, you could eat fruits twice a day! Rather than eating it at once after lunch, I cut my fruits into pieces and make them as snack during meal intervals! It will be the best if you make a charting table ( a huge one at that) and paste it on your bedroom wall so that you can record and track your achievement day by day. It would be even better to have a column for meal of the day so that you can see it too. Keeping a record of your meal could help in a lot of aspect like if you're not losing much on a particular day, you could check what you took on the day and make sure if its the correct meal. All of these tips above are based on my two weeks experience and also from my doctor's recommendation. So here I'll show the compilation of my weight loss for the past 2 weeks of Phase 2. The first week, my loss was quite inconsistent. On the third day of injection which is also the first day of phase 2, I actually gained a total of 0.9kg from my original weight due to the loading phase, 2 days earlier. Loading phase is a phase where you have to eat more fatty and oily food. This is called Gorge Meals.This is the first preparation stage (phase 1) before you start your diet meal (phase 2) in order to lose weight. But I lose 1.1kg on the day after, which means the weight I've put on due to loading phase has been gone. The middle of first week kept being inconsistent and you can see that I don't lose much, but almost on the end of the first week, my weight suddenly dropped 0.7 kg in just a day. Dr Jasmine told me it was probably because my body finally starting to react to the hormone injection. And as for the second week, you could see the drop for each day was consistence. This mean my body has finally gotten used to the hormone. Therefore, so far I've lost 3.2 kg in just 2 weeks. So, if you're interested in finding out more about this weight loss treatment, you could either check it out on their website, or Facebook page, or you could directly go and visit Mediviron UOA Clinic for consultation. I'll put down all the related information at the end of this post. And for those who is having hard time to find the clinic or don't know how to go there, I'll probably make another special post on that soon. Jalan Pinang, 50450 Kuala Lumpur. So again, wish me luck on continuing this journey.